Who was the first guitarist awarded a signature-model electric? Before we get into that question, we ought to decide what we mean by a signature guitar. Sometimes known as an artist model, this is an instrument that bears the name of a well-known musician, usually alongside a popular brand name, offering some kind of connection to a guitar that this particular guitarist is known to play, manufactured as a production item and offered for sale to the public. Which takes us back to that opening question. Who came first? There are 19th-century examples of what we might loosely call signature guitars, when some enterprising teachers had the commercial idea of buying in guitars, signing the labels, and selling them on to eager pupils who wanted an affordable axe with a hint of the teacher’s magic. That idea continued with Martin’s 1913 model for Vahdah Olcott-Bickford, a Hollywood-based teacher, and others since, always with the aim of having something ready when a pupil asks the inevitable “What shall I buy?” question. More commonly, though, a signature guitar is named for a famous player. There were more early acoustic instruments that qualify as trailblazers, notably the Gibson Nick Lucas flattop, introduced in 1927. Nick was known as the Singing Troubadour and became a big star with catchy hits such as his signature tune Tip-Toe Through The Tulips With Me (almost as bonkers as the 60s cover by Tiny Tim). Nick cut some weightier items, too, such as Teasing The Frets – and despite Gibson’s signature model, Nick mainly played his favoured L-1 flat-top. 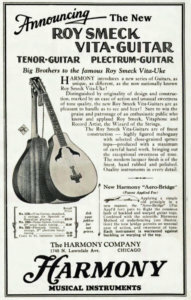 Other sigs from this era included several Harmony Roy Smeck models, with guitars starting in 1928, the Selmer Eddie Freeman tenor (1933), and Gibson’s Roy Smeck Radio Grande and Stage Deluxe flattops (1934). For the electric signature guitar, however, the big event was the launch of the Gibson Les Paul Model in 1952. Again, there were a handful of earlier examples, but they made little impact. There was the Harmony-made Rickenbacker Ken Roberts electric flat-top (1935), an Epiphone Anthony Rocco lap-steel (1936), and a couple of Gibson-made Recording King lap-steels for the tireless Roy Smeck (1938/39). In case you’re wondering, Roy was a widely popular star from the vaudeville days who played ukulele, banjo, steel, and guitar. He seems to have endorsed more or less every instrument anyone ever showed him. Anyway, into the early 50s and Gibson noticed that the innovative solidbody electrics which the upstart Leo Fender made over in California were becoming popular. Gibson had to compete, decided to make its own electric solidbody and bossman Ted McCarty made a signature deal with Les Paul, the best-known guitarist in America. Les had modified several guitars to try to get closer to the kind of electric instrument he wanted and the tones he was looking for. More importantly for Gibson, he was famous, scoring a US No. 1 smash with Mary Ford in 1951 with the multi-vocal multi-guitar How High The Moon. Gibson’s in-house team designed the new Les Paul Model, apart from Les’s trapeze tailpiece, which was soon replaced. This approach remained the model for many of the signature electrics that followed on the heels of the Gibson, with guitar makers slapping a famous name on an instrument it either already made or devised itself. It was a step beyond the 50s ads and catalogues that featured a well-known player with a particular guitar: Laurindo Almeida and a Vega E-300, for example; or Jimmy Bryant and a Broadcaster, or Mary Osborne and a White Falcon. 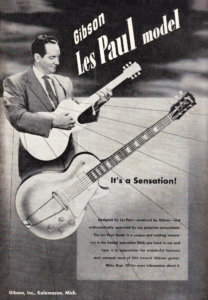 Other big brands sought their own Les Paul as the 50s progressed. An early one was the Framus 5/120 Billy Lorento (aka Bill Lawrence) archtop, introduced in 1953. Höfner’s UK agent Selmer opted for a combined effort and in 1957 introduced the Committee, designed in collaboration with six British pro guitarists: Frank Deniz, Ike Isaacs, Jack Llewellyn, Freddie Phillips, Roy Plummer, and Bert Weedon. Kay introduced a trio of Barney Kessel models in ’57, although the company removed the ‘Barney Kessel’ pickguards later when he moved to Gibson. 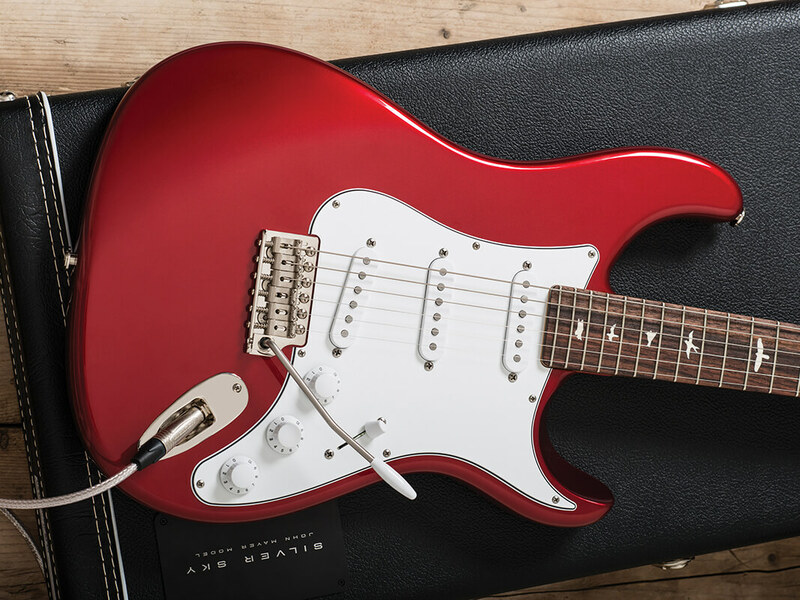 Despite the control exercised by the guitar companies, it was exciting to be honoured with a signature model – a dash of extra promo never did a guitarist any harm. Gretsch launched its Chet Atkins 6120 and semi-solid 6121 in 1955 and the Country Gentleman and Tennessean three years later, and Chet told me 40 years later how much it meant to have a signature model. In later decades, the idea of the signature electric blossomed as more models hit the shops, tempting players who wondered if some of their hero’s fairy dust might be lurking under the frets or inside the pickups of the instrument that bore the star’s name. In the 60s, as rock and pop exploded, dozens of new signature models appeared, and some were aimed at the popularity of a band rather than an individual musician, such as the Mosrite Ventures (1963), the Gretsch Monkees (1966), or the Guyatone Sharp 5 (1967). Through the 60s and 70s the signature idea took root in many a maker’s catalogue, and often the endorser began to have a more significant input to the design of his model. Burns had its (Hank) Marvin solidbody, first seen in 1964 and Epiphone introduced a couple of (Al) Caiola multi-control models in 1963, along with two oval-soundhole Howard Roberts sigs in ’64. Danelectro’s Bellzouki 12-string (1962) just about qualifies for inclusion here as it was named for Vinnie Bell, and Framus made a couple of Attila Zoller archtops (1960) and a Jan Akkerman semi (1974). Gibson offered a trio of jazz boxes named for Tal Farlow (1962), Barney Kessel (two versions, 1961), and Johnny Smith (two versions, 1961/62), as well as a couple of Trini Lopez models (a semi and a hollowbody, 1964), and various Howard Roberts models (1970/76/79). Gretsch introduced the (George) Van Eps seven-string in 1968 and the hollowbody Super Chet (Atkins) in 1972. Guild made its thinline Duane Eddy in two versions (1962/63), plus the similar Bert Weedon (1963) and a couple of George Barnes archtops (1962/63), while Ibanez offered two George Benson archtops (1977) and a Paul Stanley solidbody (1978). You probably spotted an omission from that 60s/70s inventory, and that’s because the first Fender signature electrics didn’t appear until 1988. The Eric Clapton Stratocaster had Lace Sensors, a midrange-boosting active circuit, and a blocked-off vintage-style vibrato, while the Yngwie Malmsteen Stratocaster had a scalloped fingerboard, DiMarzios at the neck and bridge, plus a central Fender pickup, a brass nut and old-style narrow headstock and two-pivot vibrato. In 1995, the original signature electric, Gibson’s Les Paul, was for the first time issued as a signature-signature electric. 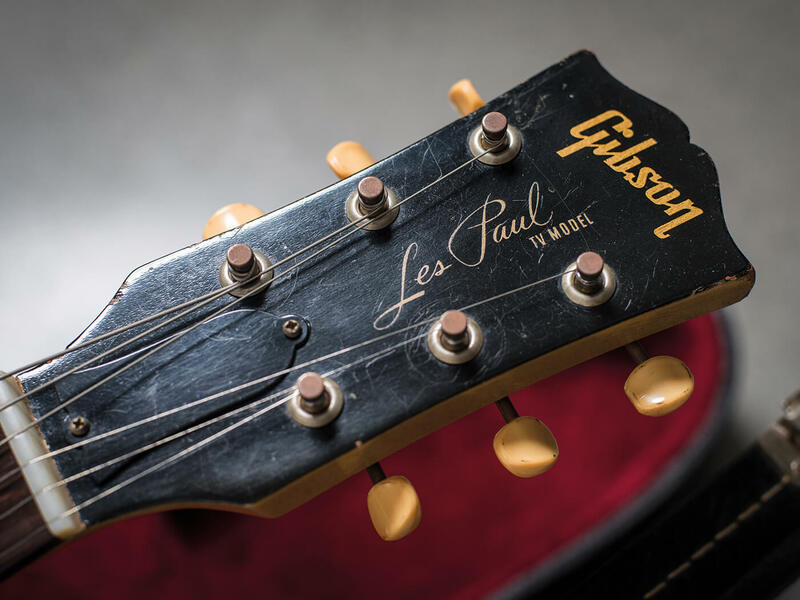 The Gibson Jimmy Page Les Paul lasted in the line for about four years and accommodated Jimmy’s request for an unusual neck shape and fret height. Visually, it was a basic Standard with a lightly figured top, gold-plated hardware, and Pagey’s which-way-is-up autograph logo on the pickguard. More accurate (and desirable) repros of Jimmy’s hallowed Bursts would follow in the 2000s. How about a non-signature signature? 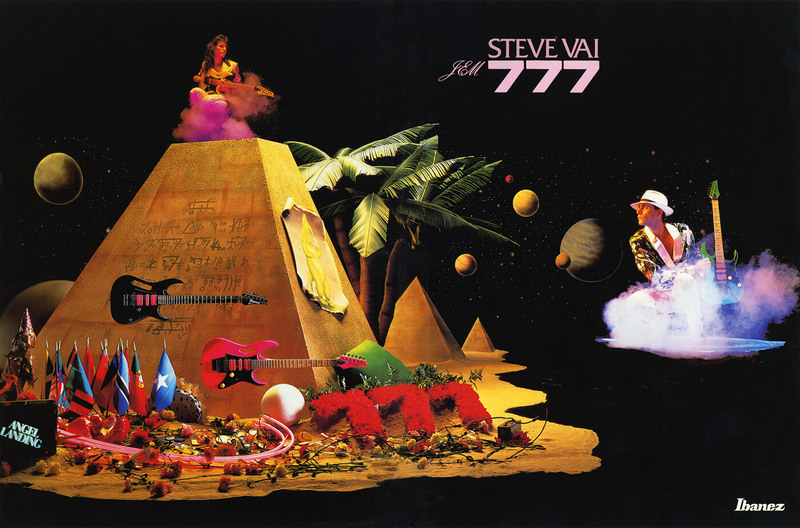 Steve Vai’s JEM models for Ibanez, introduced as the JEM777LG in 1987, did not have his name anywhere on the guitar (unless you count his hand-signed autograph on that initial limited-edition run), but his involvement was widely promoted and understood. The JEM had all the hallmarks of a guitar designed for Vai-flavoured extreme rock and it was one of the highlights of the 80s trend for ‘superstrats’. Ibanez’s masterstroke was to remove some of the JEM’s wilder excesses and apply most of the new design benefits to its revised RG line, notably the new RG550 of 1987 and its popular siblings. 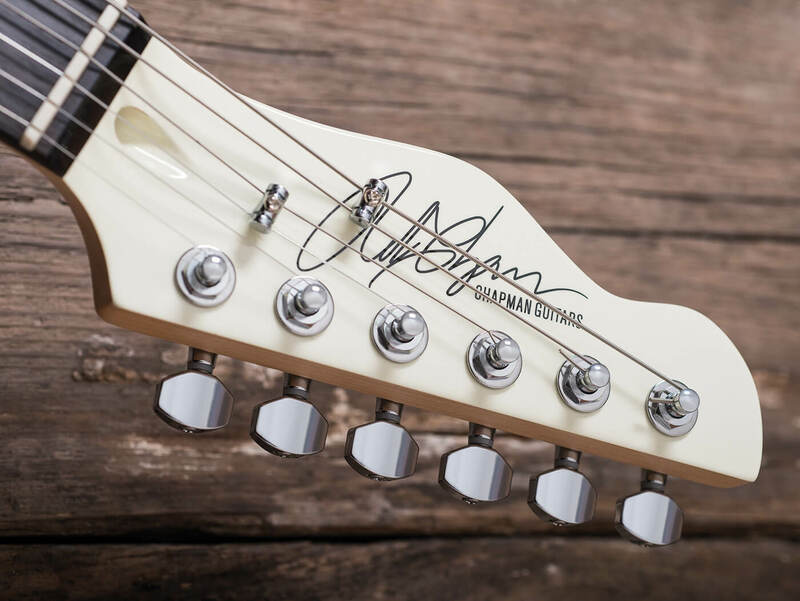 One of the most recent signature-signature models, the PRS Silver Sky, had Paul Reed Smith’s signature as usual on the headstock and co-designer John Mayer’s squiggle on the neck-plate. This 2018 model certainly got noticed, because it came on very much like a PRS Stratocaster. And despite the predictable noise online about its Fender-centric design and what some saw as a lack of originality, it sold well. And talking of online, now there’s a trend for artists and YouTube personalities to become the brand, not just a signature on another guitar-maker’s instrument. Tosin Abasi has taken this path with his Abasi Concepts, and so has Zakk Wylde with Wylde Audio. Maybe it’s symptomatic of the way social media can allow artists to communicate directly with fans, diminishing for some the need for gatekeepers such as guitar companies and record labels. Perhaps the idea of the artist brand started with Eddie Van Halen? He’d naturally attracted his fair share of signature guitars, including models for Music Man in 1991, Peavey in ’96, and Charvel in ’04. But in 2007, Eddie teamed up with Fender to create his own EVH brand, which continues to offer models such as the iconic Striped Series and Frankenstein Replica Guitar. Rob Chapman set up Chapman Guitars in 2009. The boss at wholesaler and distributor Barnes & Mullins was intrigued when many of the audience at one of Rob’s demo gigs for Faith acoustics clamoured for a signed picture from Rob. “You’re not famous,” said the perplexed boss. “How come they know who you are?” Rob explained how his fame had grown through online videos, that some of his YouTube spots attracted 10,000 views, a huge number back then. The boss offered Rob a signature model and Rob posted a video about the idea, asking for comments on the sort of guitar his fans wanted. “I didn’t really think anything of it,” he tells me from his base in Brighton, “but I’d tripped over and invented collaborative design in guitar. It became a huge deal online, and I did three voting polls of different kinds of specifications.” Barnes & Mullins generously suggested that Rob might be better off launching his own brand, and so Chapman Guitars and its first instrument, the ML1, was born. Today, Chapman offers a line of collaboratively designed models manufactured in Britain, Indonesia, and Korea, and crucially the firm sells direct to its dealers, avoiding the overheads of a distribution operation. “Because I have fans who listen to my music and see me on tour, they want to buy my guitar,” Rob continues. Learn more about the history of the Les Paul and Telecaster.